The world of Cryptocurrency and Blockchains are responsible for driving the entire globe to opt for a more reliable and trusted cashless economy. Cryptocurrencies allow for the transition of power back to consumers allowing them to determine their value without the need of a centralized bank. These technologies are revolutionizing the thought process of start-ups, entrepreneurs, investors and businesses diverting many of them from fiat to digital currency. The Cryptocurrency market has grown threefold since conception and currently has a combined market cap of approximately USD $175 billion. The Blockchain, or the Decentralized Digital Ledger, is driving the economy towards a hassle-free, transparent and secure domain. A Blockchain platform not only provides authoritative control of information but it also assures quick and accurate transactions. Although Blockchain technology is paving the way for the future of currency, some current Blockchain technologies have a fixed block capacity which results in higher transaction fees and increased processing time. Moreover, the overhead cost of infrastructure, security, development and continuous maintenance, have gone beyond the scope of their original intentions. Gex is aligned to provide superior Blockchain technology and services backed by the most advanced platform through the power of Cloud Computing. We offer 24/7/365 customer support and outright transparency to our users. The team at Gex has a deep understanding of the cryptocurrency market and its distribution worldwide. Here at Gex we guarantee that we will continuously stay at the forefront of any and all global developments related to the cryptocurrency market. We pledge all of the above in hopes of creating a more comprehensive global trading platform for our users. Gex was developed on the notion that current trading platforms are lacking in user support and services. Where current trading platforms have proven to be inadequate, Gex promises to fill in their gaps and deliver a comprehensive trading platform where users can grow their investments. Our advanced trading platform goes above and beyond the limitations of the existing technology and gives it a comprehensive boost. Gex’s trading platform will revolutionize the Cryptocurrency world and it is our intention to become the global leader in Cryptocurrency trading. To participate in the pre-ICO users must register on the Gex website by navigating to the pre-sale section. The following established cryptocurrencies will be accepted: Bitcoin, Ethereum and Litecoin. Upon completion of the pre-ICO, the team will evaluate the demand for the project and shortly after the campaign will transition into the ICO. 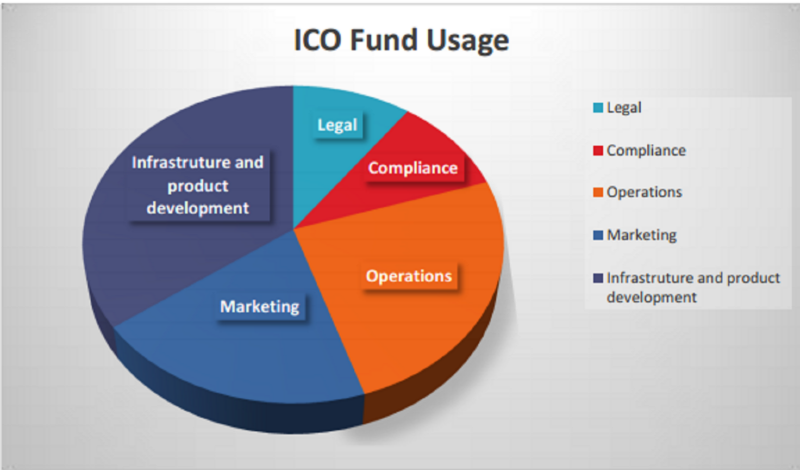 During the ICO users will be able to contribute to help generate the funding required to slingshot the project into its final stages of release. The same preestablished cryptocurrencies will be accepted during the ICO phase of the campaign. Gex will create 400 million coins total. 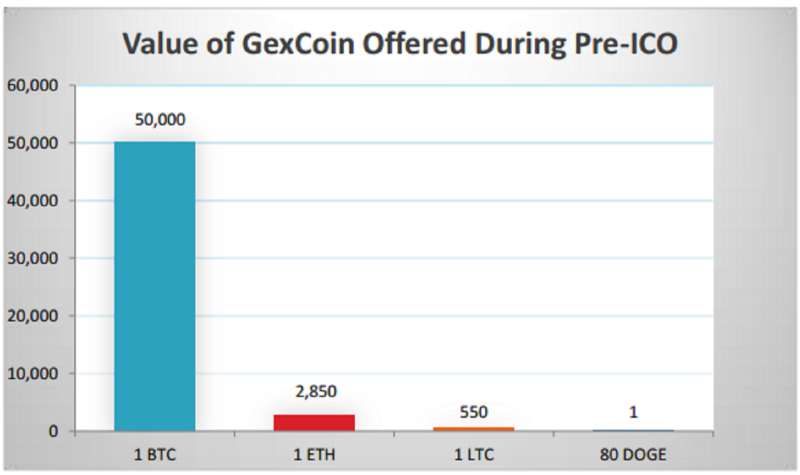 No additional volume of GexCoin will be created thereafter. Coins sold during the campaign (pre-ICO/ICO) will be used for the development/infrastructure of the trading platform and hiring the appropriate support staff. Any remaining coins will be publicly destroyed. 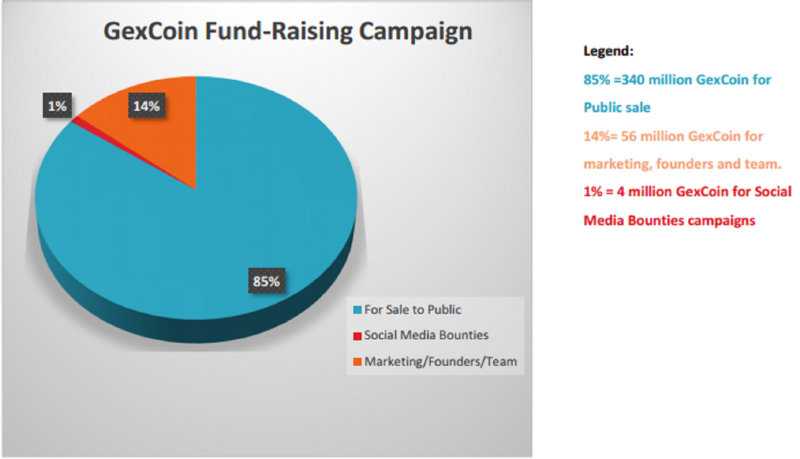 The funding campaign of the GexCoin is visualized below. HELLO GUYS GO JOIN THIS ICO, I BELIEVE, YOU AND ME WILL BE A SUCCESS…! !